Through its long-range planning process, NAPFA identified encouraging and promoting inclusivity in the field as a strategic imperative for the association. This led to the creation of the Diversity & Inclusion Initiative and the formation of a steering committee to steward any associated activities. This Initiative operates under the following directives. Our mission is to create a more inclusive membership by becoming a beacon for diversity within the financial planning profession by building and strengthening relationships between financial planning professionals and the diverse populations they serve. Our vision is to become the standard for diverse advisors. We will do so by creating and promoting programs for underserved professionals to participate in career development and enrichment opportunities and championing their success within the profession and the communities they live in. 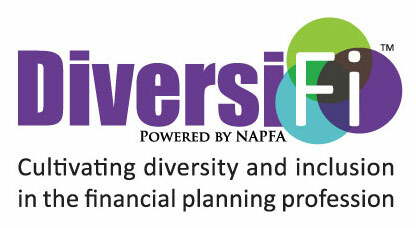 NAPFA has a steering committee dedicated to fulfilling the mission and vision of the Diversity & Inclusion Initiative. For more information about the Committee, please visit this page. The D&I initiative now sponsors several merit-based Diversity Scholarships for both NAPFA members and non-members to attend a NAPFA National Conference. For more information on the scholarship program, please visit this page. DiversiFi is a virtual community dedicated to cultivating diversity & inclusion within the financial planning profession. If you'd like to become a member and become part of this conversation, please contact visit the group here. Many organizations continue to do the important work of diversifying the financial planning profession and making it a more inclusive community for everyone. NAPFA encourages you to explore some of the programs and resources that other groups are doing. As consumer demand for financial advice grows, it is imperative that the financial planning profession work toward expanding and diversifying the ranks of financial planning professionals who can meet the needs of increasingly diverse consumers. However, based on self-reported data provided to CFP Board, less than 3.5 percent of all 82,000 CFP® professionals in the United States are Black or Latino, which is significantly less than the representation of Blacks and Latinos in the U.S. population. 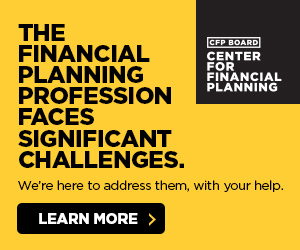 To address this challenge and its root causes, the CFP Board Center for Financial Planning commissioned a comprehensive research study in 2017 to identify the barriers to racial and ethnic diversity in the financial planning profession. To review this research click here. 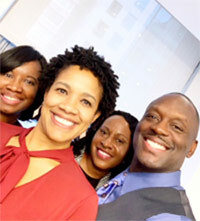 The Association of African American Advisors (AAAA) vision is to be the leading organization for African American financial advisors by promoting meaningful networks among peers, sponsors and affiliated professionals. With a commitment to learning, business development, outreach, and support, our members are empowered to advance themselves and the financial planning profession. To learn more, please click here.